A SQUAD of 18 from Penrith Swimming Club competed at the Cumbria age groups and county championships in March, having achieved the required qualifying times. The competition took place over three weekends at Copeland, Kendal and Carlisle pools, covering a range of events and strokes from 50-metre sprints to 1,500-metre distance races. The swimmers enjoyed several days of competition, gaining experience, having fun, achieving personal best times and winning medals. There were notable successes for Laura Huggon in freestyle and backstroke and Jake Fabi in freestyle and butterfly. 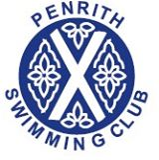 Anyone is interested in joining Penrith Swimming Club should go along and speak to a club official on Wednesdays from 6-15pm at Penrith Leisure Centre.